Space Florida is the state of Florida’s aerospace economic development agency with a valiant mission – to foster the growth and development of a sustainable and world-leading space industry in Florida. While they have been able to create innovative programs over the years that have been able to define Florida as a leader in the aerospace industry, one thing hasn’t changed – their website. Having been using the same website since before 2011, we had a lot of work to do to give Space Florida the beautiful website they deserved. 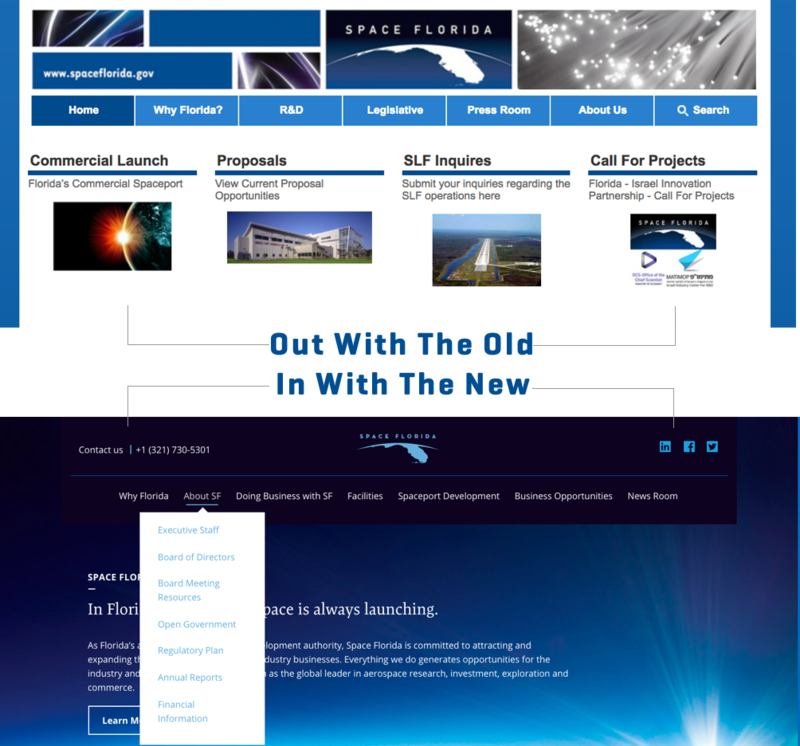 We are proud to have been a part of giving Space Florida a website that it truly deserved. 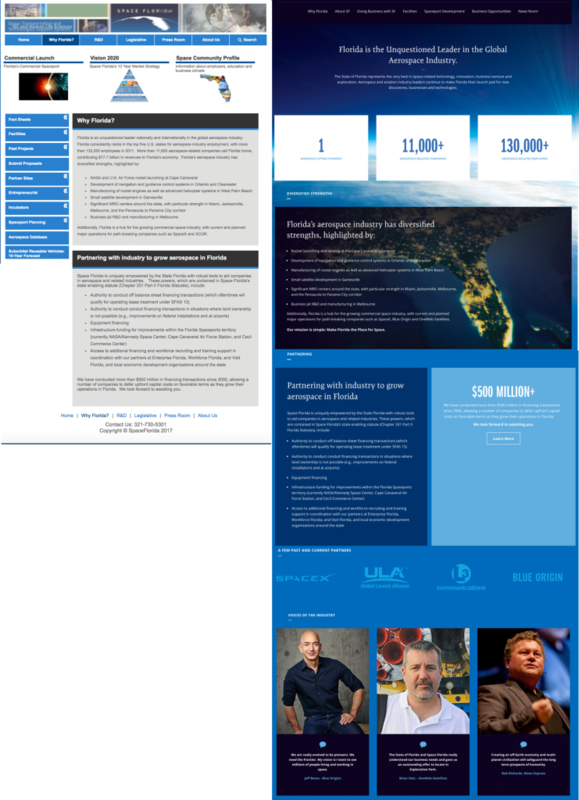 Working with Space Florida’s agency, we were able to come up with a layout and design that makes the website an attractive destination. While the whole site was receiving a make-over, there were a couple things that really stand out, and sometimes it’s best to let the images tell the story. 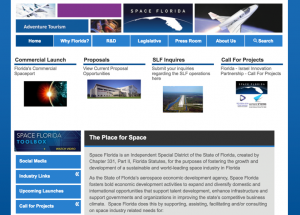 The Space Florida website was composed with hundreds of pages with no organized navigation scheme. By re-arranging the page layouts, menu navigation, and page groupings, we were able to create a simple experience that allowed users to easily find what they needed. A major part of designing a user experience is having images, color schemes, and a layout that is aesthetically pleasing. When you’re a major source of information like Space Florida, it’s extremely important that you present that information in an engaging and meaningful way. This image is not meant to be read but is a good representation of how layouts, graphics, and color schemes can be changed to have a dramatic impact on the way information is presented.